Over twenty authors are teaming up to give you a feast of mysterious, thrilling stories absolutely FREE! Cool post from Jenny over at Jenny in Neverland! Going travelling is a fun way to spend your time and definitely something you should do while you’re young. You get to see amazing landmarks that are unbelievable. Here are the world’s top monuments that you need to see at least once while you’re travelling! One of the most famous on our list, the Colosseum in Rome is a monument which has millions of people of all ages visiting every year. 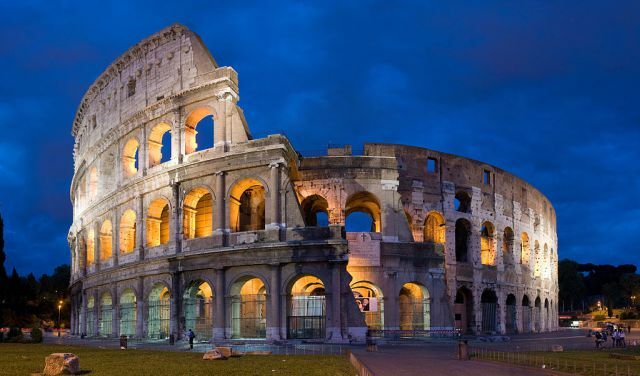 It’s one of the most iconic buildings in Italy, and it is the biggest amphitheatre ever built. It’s magnificent to look around, and you can learn about all the history of the gladiator shows while you’re there. It’s also beautiful to have a look around at night when it’s lit up. While you’re in Rome, you can also take a look at St. Peter’s Basilica and Trevi Fountain! Let’s celebrate this Holy day with a Holy Lookbook. Holy locations all over the world. A stunning and warm library. During a fire in 937, the Abbey was destroyed, but the library remained intact. The intricate engraving work engulfing this library takes my breath away. There is something just absolutely magical about this library.